CLOSEOUTS. 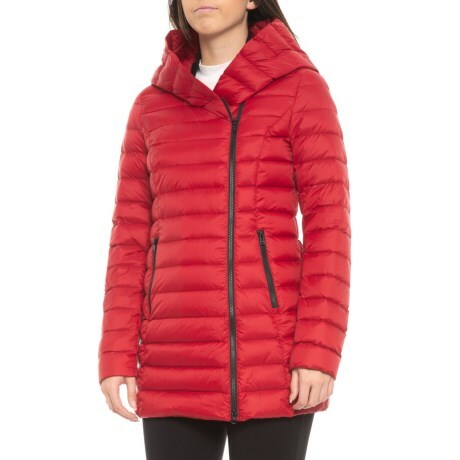 Sandovaand#39;s Canadian Designer Edela Asymmetrical down jacket offers lightweight protection against cold weather. Available Colors: CRIMSON, ARMY, BLACK. Sizes: XS, S, M, L.